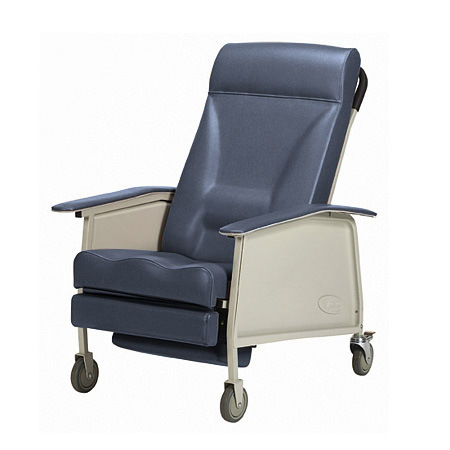 Invacare deluxe wide three position recliner geri chair is designed with special padding technology which provides maximum comfort for users who need a wider seating surface. Deluxe wide three-position recliner features lumbar support back for maximum comfort and articulating headrest that comfortably supports the neck and head. Deluxe wide three-position geri chair has full-recline, leg-ottoman elevated and full upright positions that provide maximum comfort for clients. 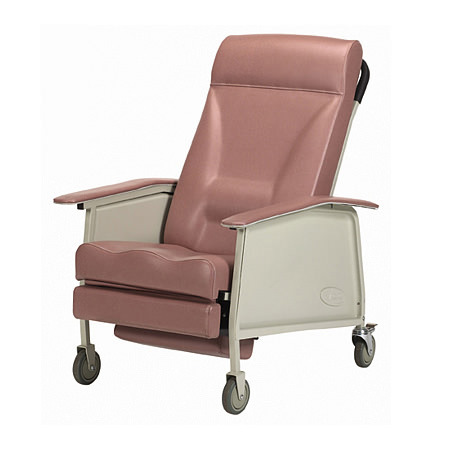 Deluxe three-position recliner geri chair offers rear locking casters and front swivel casters that that allow for easy movement. 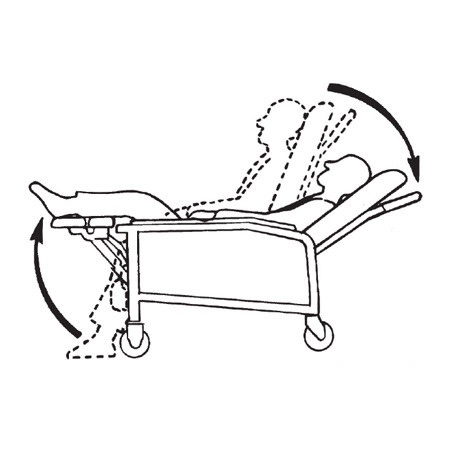 Deluxe three-position reclining wheelchair comes with convenient push bar on the chair back and footrests that fold completely under chair and allows the client to rise to a standing position more easily.